The last few months I wonder what happened to the perch season this past summer and fall. It started out so great in August, and then it got real tough and there were days when I could barely catch a half dozen. My friend was having a tough time too, so he took a head boat out of Tibbels and he only got three for the day! I know others talked about the spiney water fleas were in the stomachs of the perch, but the season never seemed to turn around in September and October. What did everyone else experience? I am worried this upcoming spring may be tough too. I don't see anyone mentioning catching any perch on the forum since the end of Oct. 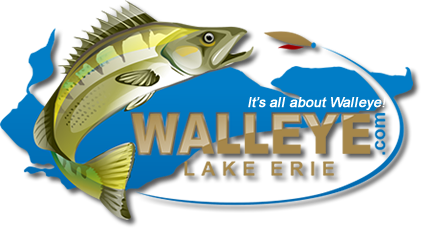 The fall Walleye season seems to have attracted everyone with great fishing. I think because the water stayed warmer than normal for longer that most ppl pulled their boat b4 the water cooled off enough to fire the perch back up. I know for certain that spoons were still being trolled and working well into November. normally crankbaits coming back into play end of October. there has still very few mornings that has had any ice even in the very calm harbors. in fact I as well as other I know, will be going out over the weekend. its 25% of the way through jan. I don't see any good ice making weather in the long term forcast till very late jan to early feb. According to the Sandusky, ohio DNR , the perch population is still there and only good. They say the lake changes every few years. The loss of minnows had affect the eating habits of the perch. Once was minnows their primary food source is now the spiney water fleas. They will eat the fleas now and ignore the minnow. The DNR said it is what it is, unless the natural habitat changes. I live and fish in Marblehead, Ohio. I do have trouble buying into this explanation. Fish finders do not lie, I DO NOT MARK THE PERCH AS IN THE PAST. There were a few times I did mark small groups of perch, with other boats around me. We took our minnows for swims. The few we did catch all had spiney water fleas. I'm 67 years old my knowledge tells me it is evolution of mans' mistake. Zebra mussels no food for minnows. ( plankton ) no minnows no natural bait fish. The walleye population is great and growing. Food for survival---what is next on the food chain for the walleye.The limit of perch days are over. I was fishing Marblehead,Lakeside, Kellys, South Bass, Rattlesnake and Green Isle areas. How Far west of that area? If not too far west, it would be worth the run to get fish! Between B-can and Michigan waters...I know that's a large area, but that's where we fish for perch August thru November..
it is alot of water but fish do move. Saw that Captain Sam "porkchop" has the same make North River boat as you Seahawk.What size is your boat,and how do you like it so far? Mine is a 22 ft Seahawk. Matched with a 200 HP etec. The boat is built like a tank and is super wide. Has all the bells and whistles.. autopilot,windless,down riggers, rod holder, tree rod holders much more. I do like it a lot. Wasn't really in the market for another boat last year, but when I checked it out, I had to have it! The only thing I really don't care for is the digital guage that the etec uses. Hard to know how much fuel, temp , oil press. Etc.... Kind of a learning curve... Fish finder if a Raymarine dragonfly that works ok, but will get upgraded soon..